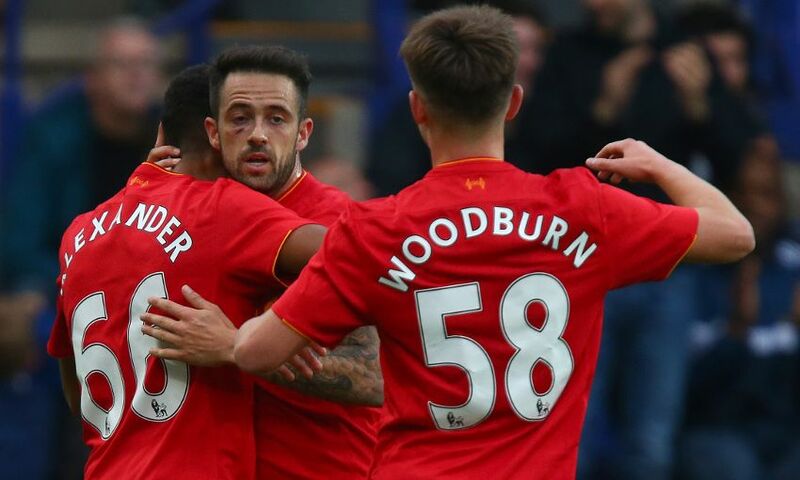 Danny Ings ensured Liverpool got their pre-season campaign up and running with a victory as he scored late on to defeat Tranmere Rovers 1-0 at Prenton Park. Jürgen Klopp, fresh from signing a new long-term contract earlier on Friday, fielded two separate XIs in the first and second halves, with Sadio Mane, Joel Matip and Loris Karius all making their debuts as part of the starting line-up. Despite dominating for long periods, the Reds struggled to find the breakthrough until Ings - who skippered the side in the second half - finally got the goal their performance deserved in the 79th minute. Trent Alexander-Arnold's enterprising run down the right ended with him feeding Ings, and the 23-year-old took a superb first touch before firing a powerful effort beyond Iain Turner at the Tranmere goalkeeper's near post. Mane looked particularly bright on his Reds bow and the new signing almost scored shortly before half-time, while Alexander-Arnold was one of several youngsters given a chance to shine by Klopp, along with the impressive Ovie Ejaria and Ben Woodburn. Liverpool quickly settled into their passing rhythm and Ryan Kent had the first two attempts on goal in quick succession early on. The young winger first cut inside from the left before forcing Tranmere keeper Scott Davies to parry his low shot from 20 yards, and then curled narrowly wide of the top corner. The Reds were in control and Mane carved out their next chance when he dropped deep and found Roberto Firmino with a perfectly-weighted through-ball, only for the Brazilian's touch to let him down as he advanced on Davies' goal. Tranmere went close to opening the scoring against the run of play in the 23rd minute when Connor Jennings glanced a near-post header off the post with Karius beaten, before Ejaria bent an effort wide at the other end. Mane was becoming increasingly influential as he roamed from his starting position on the right, and the Senagalese displayed his creativity in laying on another opportunity for the lively Kent on the half-hour mark, and his searing pace when racing clear before he was denied by an excellent stop from Davies. The Reds struggled to assert the same authority they showed before the interval early in the second period, but the returning Lazar Markovic spurned a golden opportunity to break the deadlock in the 66th minute. Ings was denied by Turner, before Markovic hit the post from the rebound with the goal at his mercy. Ings then sent an acrobatic bicycle kick narrowly wide, before Liverpool got their just rewards at last when the striker finished unerringly after some fine work from Alexander-Arnold.